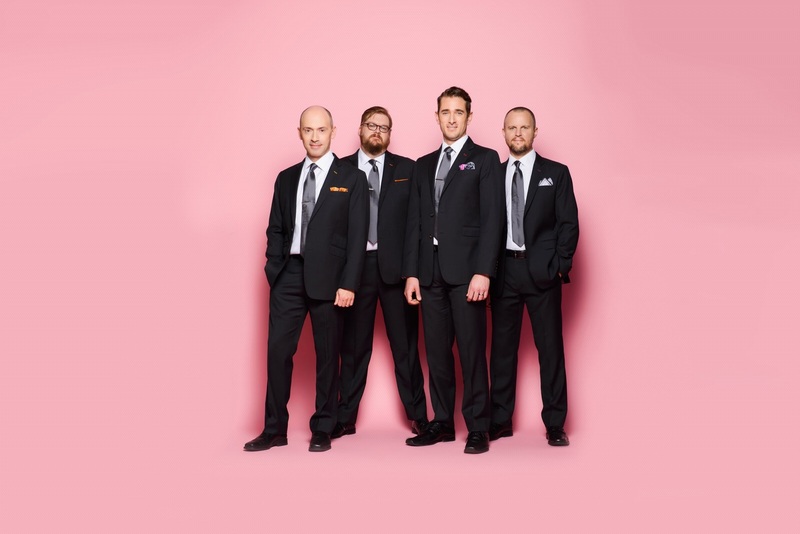 Internationally renowned for their superb musicianship, vocal beauty, and mastery of repertoire ranging from the Medieval to modern works, NEW YORK POLYPHONY returns to 5BMF this season in two special performances featuring works by Loyset Compere, Francisco de Peñalosa, Cyrillus Kreek and Andrew Smith. Following their previous appearances with 5BMF in the Fall of 2008 and alongside vocal ensemble TENET in 2012, New York Polyphony kicks off our 10th Anniversary Season on September 24 at Christ Church Riverdale, and on September 25 at Trinity Lutheran Church in Staten Island, a co-presentation with SI-based ensemble Voyces, who will join NYP for Andrew Smith’s Amid a Crowd of Stars. By public transportation: 1 train to 231 St. Station, then Bx7 or Bx10 bus to Henry Hudson Pkwy E/252 St.
Trinity Lutheran Church, located in Staten Island’s Silver Lake neighborhood, is easily accessibly by a gorgeous NYC harbor ride on the FREE Staten Island Ferry, then a 7-minute ride directly to the church on the the S78 bus from the St. George Ferry Terminal. Or, ride the SI Railway two stops to Stapleton, followed by a short walk to the church.